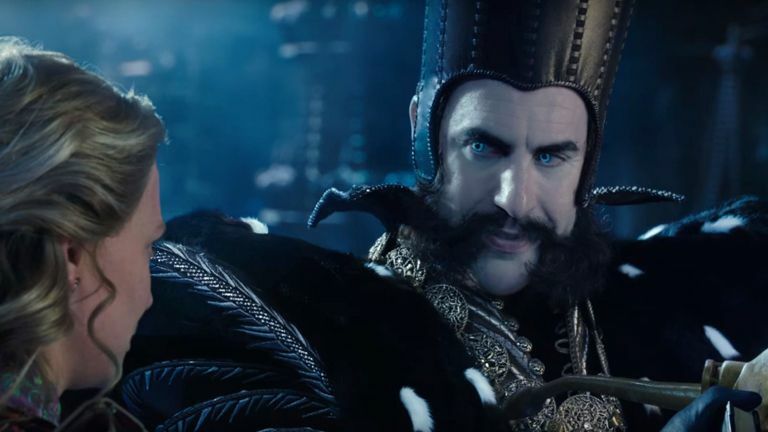 Following on from 2010's visually stunning but dramatically weak Alice in Wonderland, Tim Burton has decided to return to the tea party once more, with sequel Alice Through the Looking Glass hitting cinemas this summer. The star studded cast from the original is back, with Johnny Depp reprising his role as the Mad Hatter, Mia Wasikowska plays Alice again, and Stephen Fry and Alan Rickman lend their voices once more to the Cheshire Cat and Absolem theCaterpillar. From what we can see here in the new trailer, Burton seems to have doubled down on the visual madness, with some pretty trippy sequences really showing off the fantastical Underland. Whether or not the film can be tighter and more coherent than than the first though remains to be seen. Alice Through the Looking Glass hits cinemas 27th May, 2016.